Technology advances, intelligent software and integration capability are just a few of the attributes that have contributed to the increased flexibility and functionality of today’s key control and management systems. Yet beyond flexibility and functionality, ease of use plays a significant role in helping to ensure that a system is truly effective. Easy to Operate – Features such as illuminated key slots and the ability to return keys to any cabinet or to any location within a key cabinet go beyond intuitive or predictable actions by providing simplicity and ease of use. Configuration options that include PIN codes, biometrics or access control cards make accessing or returning keys fast and easy, allowing users to complete tasks swiftly and be on their way. Positive User Experience – Systems designed with large display screens, easy to read menus, clearly understandable direction and informative prompts can deliver a more satisfactory user experience. The visual/audio prompts and other system intelligence can make it almost impossible for the user to take incorrect actions and can help to shorten the learning curve. Effective and Efficient – Keys are secured in the tamper-proof cabinet and can only be accessed by authorized individuals with the proper code, badge or biometric identification. Automatic tracking of access activity, scheduled reports, email/text notifications of overdue keys, online monitoring, user programming and so on all help to ensure safekeeping of the keys and ultimately the facility security. 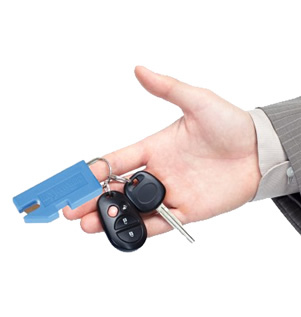 Comprehensive Usage Data – Whether it is knowing who last drove a particular vehicle, where a particular key is located or when a key is scheduled to be returned, accurate and timely information provided by reports and/or online monitoring can solve these and other issues related to potential mismanagement of keys and security vulnerabilities. Together, operational ease, positive user experiences, effective security, transactional efficiency and comprehensive usage data, enhance the system’s overall functionality.